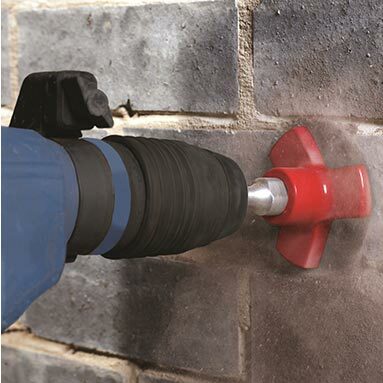 Armeg EBS Round Cutter - for drilling square socket box holes in less than 2 minutes! After drilling your 6mm pilot hole, the EBS round cutter will help you to clear out the bulk of the material before needing either the square box cutter (AR-EBS.SQUARE.SET) or hard material chisel (AR-EBS.BSC.HM) to square off the hole. 1 x Armeg EBS round cutter with SDS adaptor. 1 x 6mm pilot pin for easy hole location. Armeg EBS square cutter (AR-EBS.SQUARE.SET). 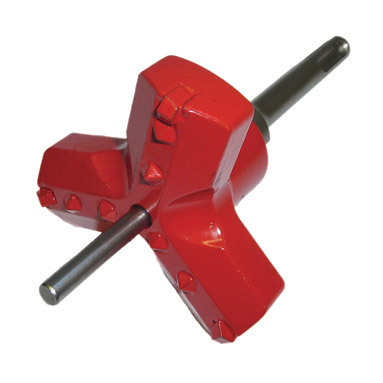 Armeg 6mm SDS pilot drill bit. Armeg hard material chisel (AR-EBS.BSC.HM) for squaring off in hard materials such as engineering brick.